At Elite Smiles Chastain, we believe every child deserves to grow up with a beautiful, healthy smile, and achieving that smile means starting early. As a comprehensive pediatric dental practice serving patients throughout Buckhead and the greater Atlanta, GA area, we're proud to offer a wide range of pediatric dental treatments ranging from preventive measures like dental sealants to comprehensive reconstructive care. We take a holistic approach to pediatric dentistry, working to create a beautiful smile for your child over the long-term – so your child will get to enjoy their smile for a lifetime. Your child's baby teeth will fall out eventually, but that doesn't mean they aren't critically important to your child's development. Properly caring for your child's baby teeth is an important part of helping safeguard your child's smile for a lifetime, and early pediatric dental treatment is an important part of that process. 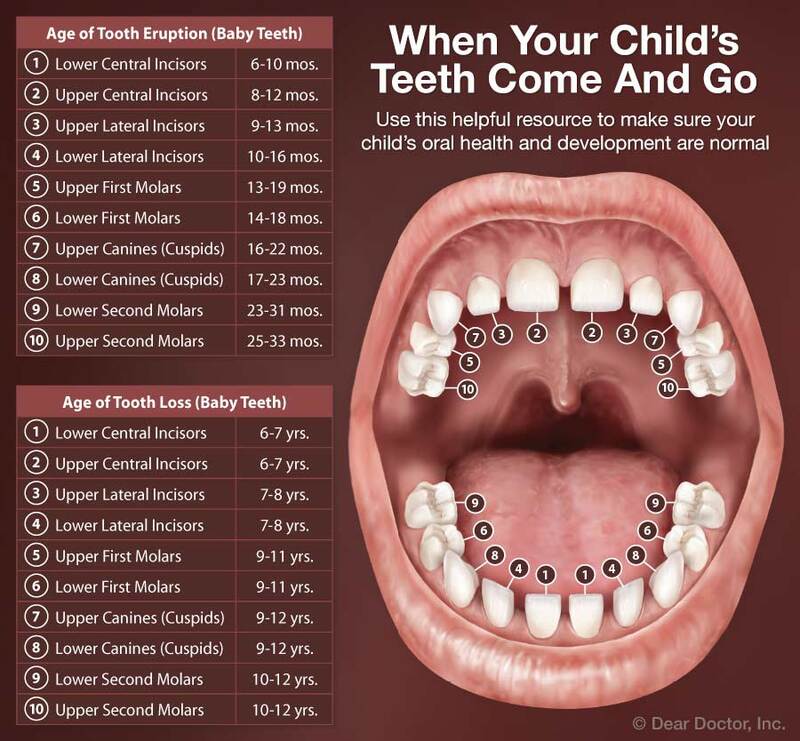 But why are your child's baby teeth so important? On one level, your child's baby teeth help guide the permanent teeth into place, ensuring they grow in with proper alignment. If your child loses a baby tooth too soon, it can leave a gap that slowly disrupts the alignment of the other teeth, causing crowding issues or even impacted teeth. Caring for your child's primary teeth helps ensure they have a better smile once their permanent teeth come in. 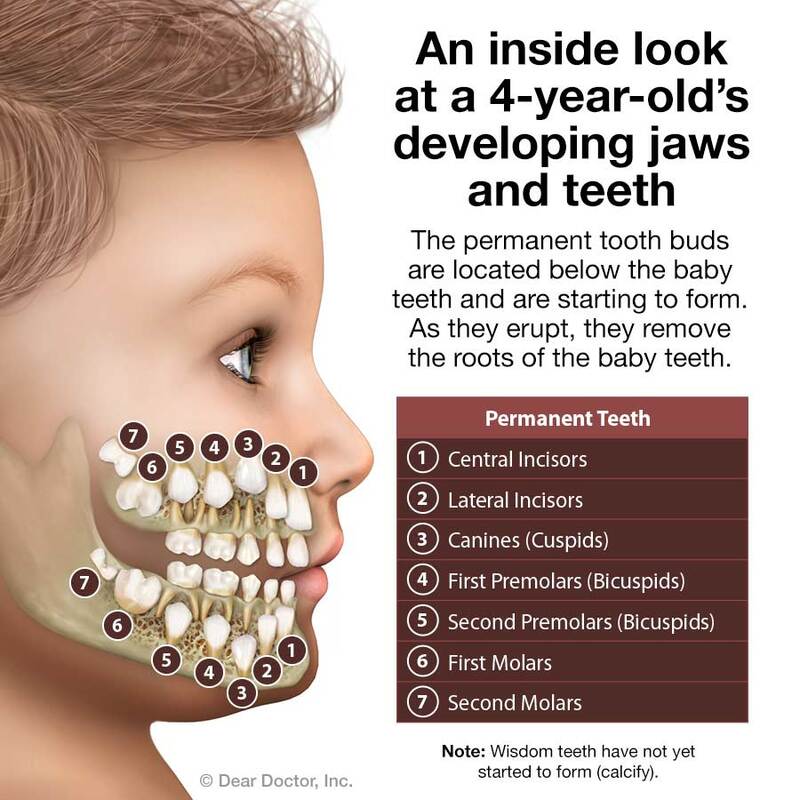 Even more important, though, the baby teeth play an important role in their own right. Children learn to bite, chew, and speak using their primary teeth, and any dental issues can impair the formation of these critical habits. Furthermore, a healthy smile is important for self-confidence and self-esteem, so caring for your child's smile is important for psychological development, as well. Children have 20 primary teeth in total, and the first will usually appear between 6 and 9 months of age. The two front lower teeth are the first to erupt, followed by the two front upper teeth, the molars, and the canines. Teething normally lasts until around age 3, and it's common for children to experience discomfort – and, consequently, moodiness – during this period. During infancy, you should clean your child's mouth and any newly-erupted teeth with a water-soaked gauze pad or damp washcloth, and you can brush any teeth with a small soft-bristled toothbrush and a tiny smear of fluoridated toothpaste. After age 3, you can teach your child to brush their own teeth with a pea-sized amount of toothpaste, but don't be surprised if your child needs help until they reach age 6. So, when should you first bring your child in to see the pediatric dentist? In keeping with the American Academy of Pediatric Dentistry, we ask parents to bring their kids in for an initial appointment around age 1. This may seem early, but it's important to start pediatric dental care early in life to ensure the development of a healthy smile. We likely won't perform any treatment during this first visit, but we'll talk over proper oral hygiene techniques, check for any cavities, and check to ensure your child's development is progressing normally. Topical Fluoride: Fluoride is an important mineral for healthy teeth, helping to strengthen the chemical structure of enamel and protect against decay. Some patients may benefit from supplemental fluoride treatments, and we can talk with you to find out if fluoride treatment is right for your child. Dental Sealants: Cavities are a common, preventable issue for kids, and the majority of children get cavities on the chewing surfaces of the rear molars, which are remarkably difficult to keep clean. Dental sealants are a simple, effective treatment that can prevent these cavities from forming by covering the rear molars with a thin layer of dental resin. Sealants are safe, convenient, and effective, providing years of protection from cavities and decay. Root Canal Treatment: While root canals are most common for adults, children can need root canals, as well. In the case of advanced dental decay, we may recommend root canal treatment to save a damaged tooth and safeguard your child's smile. Bonding: Composite bonding involves painting a thin layer of tooth-colored dental resin to the front of teeth, helping to recreate the appearance of the teeth and fix a number of minor issues like chips, gaps, and small fractures. In addition to the health of the teeth themselves, the alignment of the teeth is vital for a healthy smile. Unfortunately, most patients will develop some form of orthodontic problem, or malocclusion, that requires orthodontic treatment. We can fix orthodontic issues through a variety of treatment options like braces or Invisalign. In keeping with the American Association of Orthodontists, we ask parents to bring their children in for an orthodontic consultation at age 7. While we may not start treatment at this early age, it's important to evaluate your child to spot any current problems or problems that may form down the line. Plenty of our patients are student-athletes, and that brings us plenty of pride. But unfortunately, sports are a major reason for dental trauma. If your child plays or practices any sports, we strongly recommend using a custom-made mouthguard. A custom-made mouthguard provides the best possible protection for your child's teeth, reducing the likelihood of dental injury more than 60 fold. In fact, estimates say that mouthguards prevent more than 200,000 injuries each year – and all it takes is one appointment for a fitting. If you're interested in a mouthguard for your child, simply bring it up with us at your next appointment or contact us to schedule one. Your child deserves a healthy, beautiful smile, and the first step is ensuring they receive high-quality, comprehensive pediatric dental treatment. Contact us today to learn more about pediatric dental care or to schedule a checkup at our Buckhead pediatric office. We can't wait to hear from you, and we look forward to helping your child develop a beautiful, healthy smile that lasts a lifetime!